The Healthy St. Mary’s Partnership’s Healthy Eating and Active Living Action Team (HEAL) is planning a Healthy Food Drive alongside the 2018 HSMP Annual Meeting on Sept. 13. The meeting is set from 1 to 5 pm at the Southern Maryland Higher Education Center in California, Md. MedStar St. Mary’s supports the Healthy St. Mary’s Partnership. Everyone in the community is invited to attend the HSMP Annual Meeting, but anyone who can’t make the meeting is welcome to drop off healthy food donations during the event. For more information or to register as an attendee, please visit the registration website. More than 9 percent of households in St. Mary’s County are food insecure, meaning they do not have regular and secure access to healthy food like fresh produce, whole grains, and low-fat milk. That lack of healthy food has been linked to chronic diseases like diabetes, obesity, and delayed cognitive development in children. As a response to this growing health issue, partners of the HEAL Action Team are working together to increase the amount of healthy foods that are distributed in Southern Maryland by hosting and encouraging others to host Healthy Food Drives. 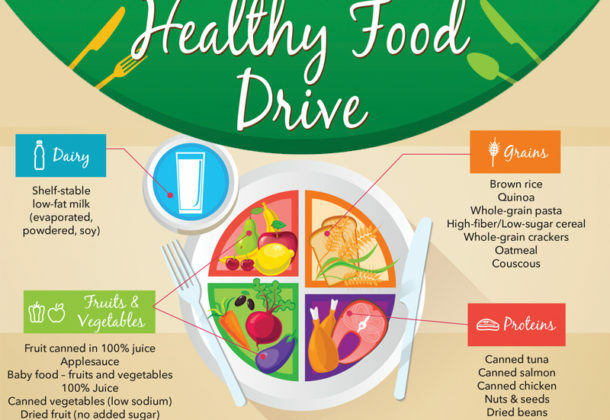 For examples of the best healthy food donations and tips to host your own Healthy Food Drive for the community, visit the Healthy Food Drive website. Healthy Eating and Active Living are essential to prevent and control chronic diseases like diabetes, heart disease, cancer, and high blood pressure. These chronic diseases contribute to the major causes of death in the country and here in St. Mary’s County. The HEAL Action Team of the Healthy St. Mary’s Partnership brings residents together with community organizations to coordinate local action around healthy eating and active living. It’s free to join the Healthy St. Mary’s Partnership and new members are always welcome. Visit HEAL online for information on membership or activities.